We were happy to see that a large percentage of our students indicated that they felt welcome and safe at our school but we also noted that only about half indicated that they see and talk about their social identities (i.e. language, culture, exceptionalities). Our environment of support and acceptance is important to us but so is celebrating our differences and our diversity. 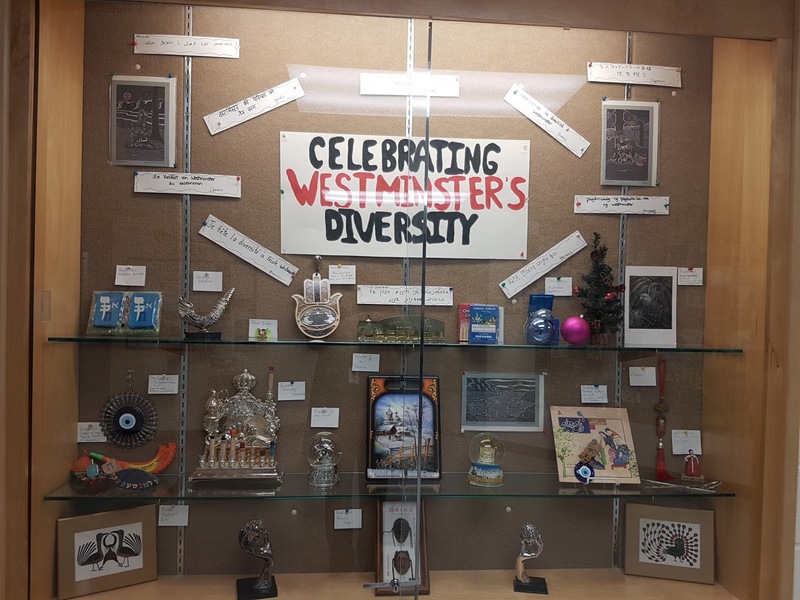 Recently, our Equity Committee put a display in the front hall celebrating our diversity. 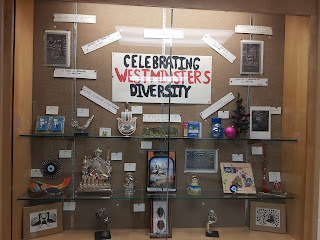 Our students were excited to see many of the cultural artifacts and languages of our school family displayed.